Owen Colgan is one of the stars of a brand new Irish movie called The Hardy Bucks which is set to hit cinemas on February 21st. Produced by Universal Pictures this movie will be one of the funniest movies we will see this year. One word of warning is it won’t suit those who are easily offended (i.e. it might be best if you don’t bring your Granny to see it haha). 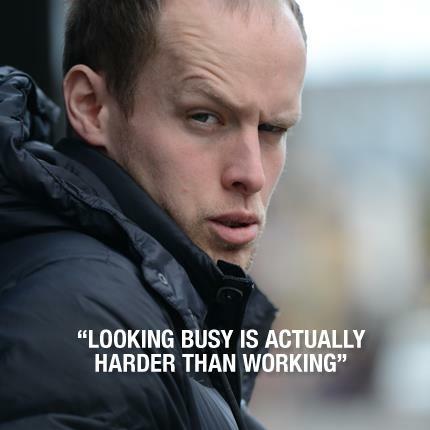 The Hardy Bucks started out as a series of webisodes written by Chris Tordoff, Martin Maloney and Mike Cockayne with moments of inspired genius from Owen Colgan, Peter Cassidy & Tom Kilgallon. After winning the Storyland competition held by Irelands National Broadcaster RTE in 2009 the boys got commission to make a tv show of the Hardy Bucks. Two seasons and a host of live shows later the boys are coming to the big screen. FTN: Hi Owen, Thanks for taking the time to talk to FTN. 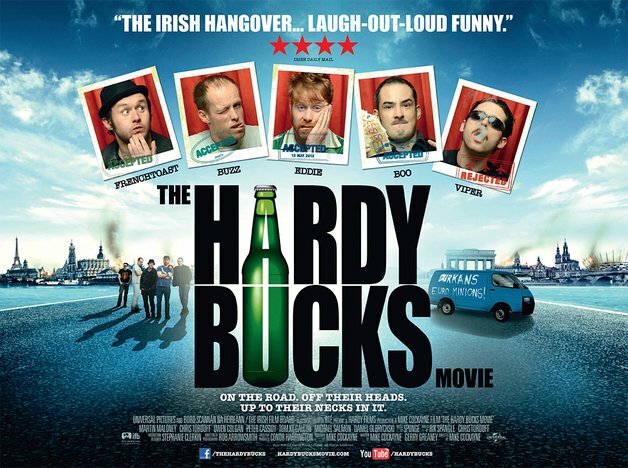 For those who have not yet watched The Hardy Bucks could you tell us about the show and how it came to be? Owen: It's a mocumentary about life in the west of Ireland and in particular, the life of a group of "tough lads" who don't have much for doing. FTN: As you said the show is a mokumentary, it has been compared to Trailer Park Boys, would you be a fan of that show yourself and who are your comedic influences? Owen: My comedic influences are Ian Paisley, the cast of Saved by the Bell and the guy on the left from the mangroup "Jedward". 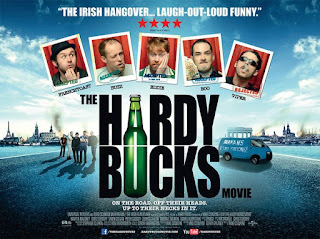 FTN: The Hardy Bucks movie is out this month and it was produced by Universal Picutres...what is the plot of the movie? Owen: Eddie Durkan wants to get out of town for the summer and what better way than to head to the European Championship Sensational pro soccer tournament competition cup which is being held in Poland. As per usual in the life of Eddie, his mates and his arch nemesis "The Viper", the path is to the super soccer cup is lined with hiccups. FTN: Did you ever think when you guys started making youtube video's that you would come this far and be on the big screen? Owen: Yes, In fact at this stage I believed that I would have cracked Hollywood or at the very least appeared in a movie with Adam Sandler. FTN: The Hardy Bucks also do a lot of live shows....are there many on the cards this year and ifso...where? FTN: Owen I wish you the best of luck with the movie and your own projects....thanks for talking to FTN.